Deciphering the link between the human brain and behavior has always been one of the most intriguing-and often challenging-aspects of scientific endeavor. The sequencing of the human genome, and advances in molecular biology, have illuminated the pathogenesis of many neurological diseases and have propelled our knowledge of how the brain controls behavior. In this classic text, prominent researchers in the field expertly survey the entire spectrum of neural science, giving an up-to-date, unparalleled view of the discipline for anyone who studies brain and mind. Here, in one remarkable volume, is the current state of neural science knowledge-ranging from molecules and cells, to anatomic structures and systems, to the senses and cognitive functions-all supported by more than 900 precise, full-color illustrations. In addition to clarifying complex topics, the book also benefits from a cohesive organization, beginning with an insightful overview of the interrelationships between the brain, nervous system, genes, and behavior. 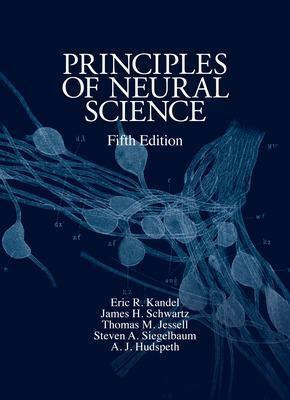 Principles of Neural Science then proceeds with an in-depth examination of the molecular and cellular biology of nerve cells, synaptic transmission, and the neural basis of cognition. The remaining sections illuminate how cells, molecules, and systems give us sight, hearing, touch, movement, thought, learning, memories, and emotions. Ultimately, Principles of Neural Science affirms that all behavior is an expression of neural activity, and that the future of clinical neurology and psychiatry hinges on the progress of neural science. Far exceeding the scope and scholarship of similar texts, this unmatched guide offers a commanding, scientifically rigorous perspective on the molecular mechanisms of neural function and disease-one that you'll continually rely on to advance your comprehension of brain, mind, and behavior.